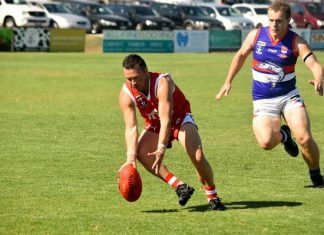 A SUPERB unbeaten 100 from opener Dylan Thorley saw Ocean Grove C Grade claim victory against Barrabool on Saturday. Chasing 190 for victory on day two, Thorley remained 111 not out and hit 11 boundaries and shared in a 152-run partnership stand with veteran Grubber Craig D’Arcy. The Grubbers finished at 3/222 from 60 overs. IN other senior games, the B Grade Grubbers won by five wickets against Jan Juc at Jan Juc Park. Batting first, the Sharks were all out for 181 from 72.3 overs. In reply, Ocean Grove made 5/181 from 54 overs. Jay Dawson top scored with 51. 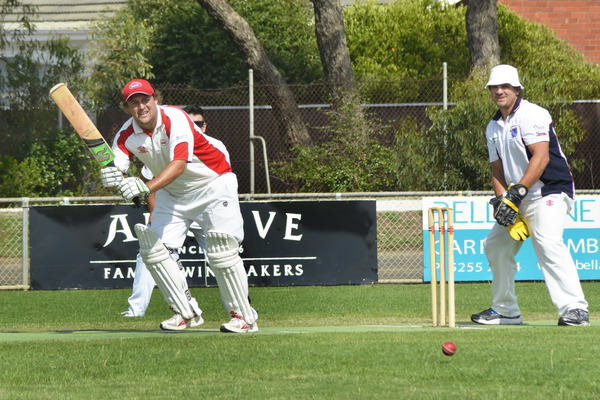 IN D Grade, the Grubbers defeated Portarlington by seven wickets. 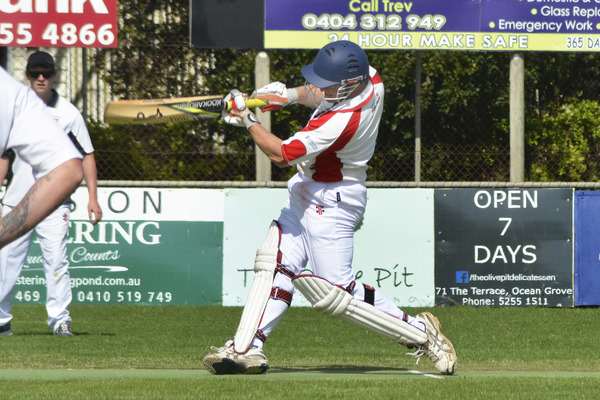 The Demons were bowled out 124 from 39 overs, while Ocean Grove finished at 3/128 from 25 overs. Tom Kent made an unbeaten 62. IN Collendina Cricket Club results, the B Grade Cobras defeated Barrabool by 16 runs in their two-day clash at Barrabool Oval. Chasing 216 for victory on day two, the Cobra bowled out the home side for 199 in 83.1 overs. Andy Higgins took 3/46 from 21 overs. IN C Grade, Jan Juc Collendina won with five wickets to spare in their two-day clash at Bellbrae Oval. Batting first the Cobras were all out for 169 from 54.1 overs, in reply the Sharks declared at 5/186 from 34 overs. Batting again the Cobras made 3/72 from 31 overs in their second innings. COLLENDINA 1 defeated Collendina 2 by nine wickets in their D Grade one-day clash played at Bellarine Secondary College’s Ocean Grove campus. Batting first Collendina 2 were all out for only 51, in response Collendina made 1/52 from 11 overs.